Building “Green” can mean a lot of things. Some builders will insist it means updating your home with the latest-greatest hi-tech products. 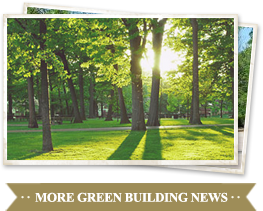 You might be surprised to lern that some of the most effective Green building solutions are age-old techniques. We ask questions like: Is the home’s design energy efficient? How long is it going to stand up and is it environmentally sound? By using both Green materials & design strategies, we can reduce the impact & exposure of potential pollutants in your family’s home. Westbridge Homes can also retrofit or remodel your current home to include Green technology. Westbridge Homes is proud to design & build custom homes on the Grand Strand. From Little River, to Myrtle Beach, Murrells Inlet & beyond, our custom homes blend form & function seamlessly. We love living on the Carolina Coast, and strive to educate ourselves on how to keep it beautiful. Designing & building homes to be environmentally responsible is just one way we do this.